I was finally starting to look past the horrific styling and recognize how well packaged it is, how cavernous the trunk opening is, and how pretty the paint color is. I should have left it at that, but thinking a brand new car turbo HAS to be pretty good to drive, I took it for a spin. The steering and overall handling are good, but only marginally better than the k24 accord coupe he replaced. The engine was supposed to be the highlight of the experience, and I hoped it would be a bit like my 98 s70 GLT AWD but way better since you know... 20 years of progress. Wrong. Zero character, upsetting sound, and would you look at that? Less hp and torque than the old white block Volvo motor. Pops loves a good row your own, but sadly he didn’t like the rev hang or the way it behaved in general, and wanted my mom to be able to drive it in an emergency. I tried my hardest but couldn’t get him to try a super clean low mileage 3rd gen TL type S. I Know for a fact he would love it since it’s just his old accord but with better everything, but he wanted a new car and I can’t blame him. 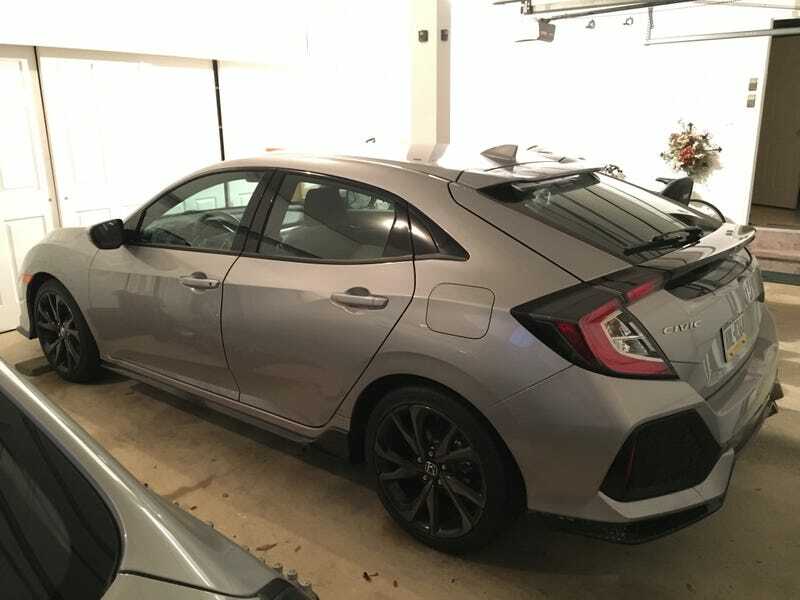 Enough of my dumb used car comparisons and all that though, the car is solid, quick enough, and handles better than most new compacts, so if the turbo motor proves to be Honda-reliable, I think he scored just what he wanted. My mom’s 2012(?) Altima is infinitely worse, so maybe I’ll influence them more on that replacement when it comes time.